TLC Film Productions – their name never ceases to match the meaning behind the famous acronym TLC standing for Tender Loving Care. While this videography business’ initials actually stand for the name of the founder Tina, they always provide tender loving care to their wedding films. At Up the Creek Farms, we are lucky to often have the TLC crew on the property, especially since they are a locals right out of Palm Bay, FL! We are true fans of TLC due to the heartfelt and detailed wedding-day films that they create. 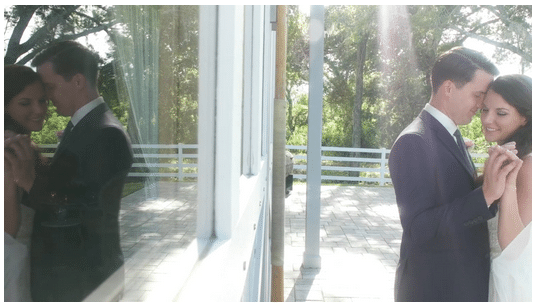 For our part three Reel Wedding Feature of TLC Film Productions, we are excited to present to you three wedding films. The family-operated TLC crew captured each wedding day celebration perfectly. The films include highlights of laughter, dancing, vows, and unforgettable moments. We love how each show the colors and details of the weddings themes, every wedding is truly unique! Re-living the vows always makes our hearts leap for joy, and listening to the toasts always causes giggles (no matter how often we watch the videos). Top favorite part of this video is that Ryan & Brandie’s friends and family members’ toasts are the background of the video’s sound. It is hard to capture moments like these in photos, or written out on a piece of paper. A film to last a lifetime! 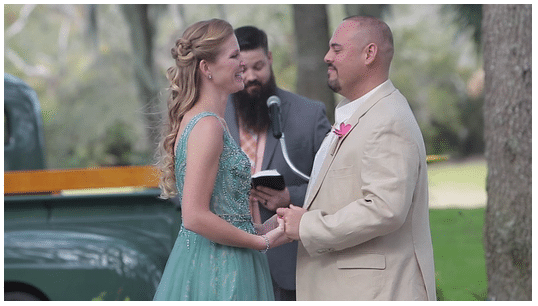 Our favorite moment of the video is at 3:21 when vows are confidently confirmed. Instant LOL moment! Video captures happiness and joy in action – the value of being able to re-live these moments is priceless. We are loving every detail of their video, especially at 8:04 into the film when bride Stephanie surprises groom Nev with a special dance! The film captures movement, loving guests, and so much excitement. Want to see even more wedding TLC on video? ♥ Check out our “Reel Wedding” Features on TLC Film Productions Part I (from 2016) and Part II (from 2017) below! Thank YOU to TLC Film Productions for providing such delightful wedding films. We look forward to the next celebration captured on video!